Realocation is powerful real estate WordPress theme. It has many features which helps you to create most advanced websites. 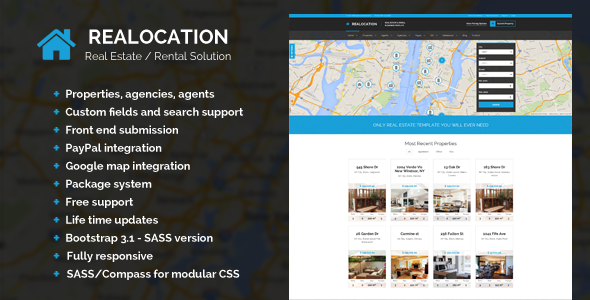 You can create with Realocation small real estate website or complex directory application as well. PHP 5.3 and higher is required! Item Reviewed: Modern Real Estate WordPress Theme 9 out of 10 based on 10 ratings. 9 user reviews.